Üsküdar Çevresi: Nikola Tesla: Destroyed by Elitists then Murdered by Hitler's Assassins? Brilliance of mind, ideas beyond our time, only Leonardo da Vinci could have held a candle to Nikola Tesla. 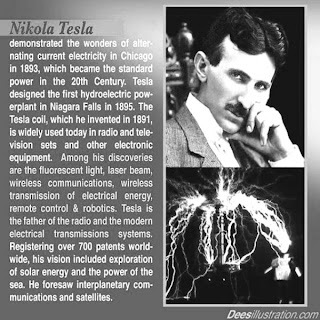 He was not only an electrical genius, he was into mysticism, x-rays, photographing thoughts, resonating planet Earth, vedic philosophy and much, much more.Tesla invented or developed a significant number of electrical and electronic devices which were decades ahead of their time and would have been of special interest to US military and intelligence circles. Around 300 patents were issued to Tesla in 25 countries, many of them major and far-reaching in concept. If society had followed up on the inventions Nikola Tesla envisioned at the turn of the century we wouldn't have a fossil-fuel economy today. And J. P. Morgan, Rockefeller and a number of others wouldn't have amassed extraordinary fortunes on the basis of that fossil fuel economy. Many of Tesla’s patents fell into Nazi hands prior to and during World Wars I and II. As a result, Tesla continuously found himself in litigation over patent rights and other issues. The diabolical nature of the suppression of Tesla extends further, directly to Westinghouse. George Westinghouse who was a friend as well as a benefactor of Nikola Tesla, apparently was a victim of J. P. Morgan’s goal of total economic control over ALL energy creation. The following ‘smoking gun’ provides an eerie introduction regarding Westinghouse’s own suppression as well. 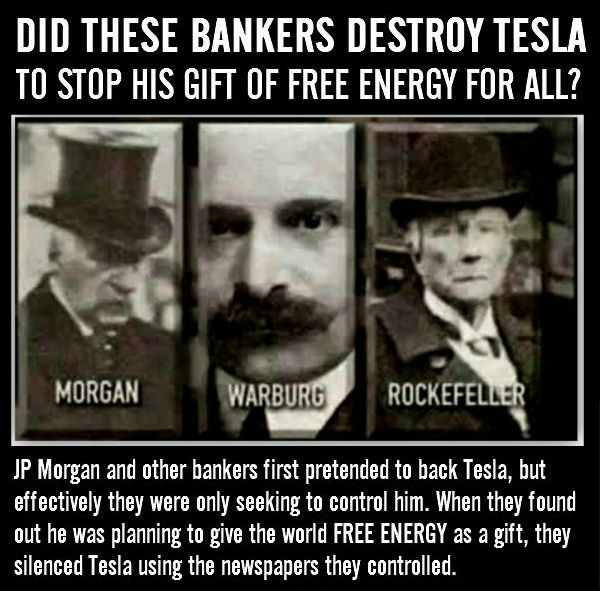 Morgan was determined to destroy George Westinghouse for his audacity to support Tesla, and he did accomplish that by creating the panic of 1907, which ultimately unseated Westinghouse from his own company, destroying his life. Excerpt: "After he turned 60, Westinghouse's world started to unravel." Among a number of other highly significant revelations, Bermen heard from Skorzeny that he had personally suffocated the 86 year old Nikola Tesla on January 6, 1943, assisted by fellow-Nazi Reinhard Gehlen. 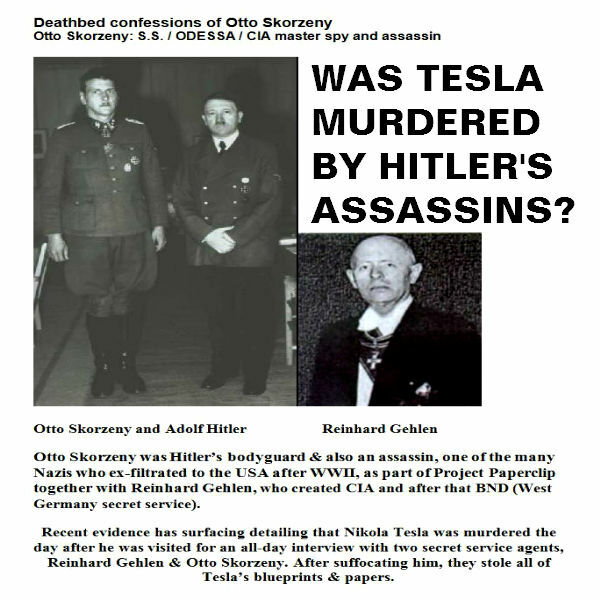 .Skorzeny said, he and Gehlen had tricked Tesla the previous day into revealing the full details of his most important discoveries. After the murder, they stole the contents of Tesla’s safe, which were delivered to Hitler. Of course, the US military fully repatriated this priceless innovative information through Project Paperclip at the end of the war. All of Tesla's papers were confiscated by the FBI after his death! As Tesla approached his final years, most of his close friends and benefactors were dead. The man who had electrified the planet was almost forgotten by the world....Most of his last days were spent feeding the pigeons in Bryant Park, in front of the public library on Fifth Ave.
Efforts Westinghouse made to save his business failed, and soon he lost most of his control over his industrial empire. The failure destroyed him. George Westinghouse died a few years later in 1914 in New York City at the age of 69." Energy is perhaps the greatest investment strategy in the financial fabric of this planet. Regulation of energy and energy related products drives the world's economy. International bankers deliberately sandbagged, and then ultimately disrupted the flow of oil to the lower forty-eight states, sending that oil to Asia and the Pacific thus artificially inflating the price of oil in America. We could build more refineries, but our government deliberately prevents such construction, thereby keeping the price of actual fuel purchase artificially higher than it needs to be. In short the United States could be ‘energy’ independent in both coal and oil production alone, not needing to participate in the outside international community. We could be isolationist and independent of world considerations, and we would not need to wage wars for our economic survival. We also know that industries built and developed within the United States by American firms, were duplicated and enlarged within Russia (and currently China) during the Russian revolution, cold war, and that the actual US Treasury plates of the American Dollar were given to the Russians so that they could print the actual dollars necessary to purchase American goods and services (see, "Lifting The Curtain On The Invisible Government", here: http://bit.ly/1aPeIhS). We also know that each time these communist nations were helped and enlarged, the American people ultimately suffered and were cheated out of their wealth and savings. The United States has been nothing more than an 'economic' cow, that has been milked for the pleasure and profit of a few 'investment' bankers and their associates, secret societies and revolutionaries. The U.S. is being forced to provide the 'capital' and 'resources' enabling these international bankers to establish their agenda both domestically and internationally. We must not let this happen. It would be a major nail in the coffin of national sovereignty and freedom, right up there with their planned gun grab, wealth redistribution andSustainable Development. We must demand they release the clean, free energy sources invented by Tesla and other brilliant scientists to change our ways, before we destroy our planet. Free energy alone would change Earth more than you would ever have believed possible. Think about it! Nikola Tesla—The Man Who Electrified The World!